It is important that the wood that you burn is dry seasoned firewood. 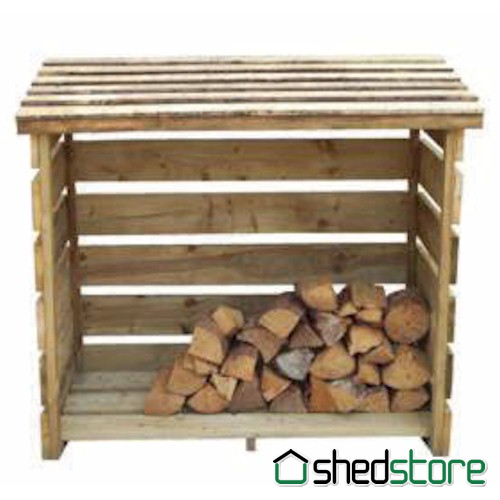 Seasoned wood burns clean with less smoke and produces much more heat from less wood. If you are burning wood, it really should be dry, 25% is the maximum water content for efficient wood burning. If it is any wetter than that, then your stove or fire would be heating water rather than burning wood. Seasoning is the process of expelling water from the wood, it depends on type, diameter and length, split or not split, but this process can take anywhere between six and twenty-four months. 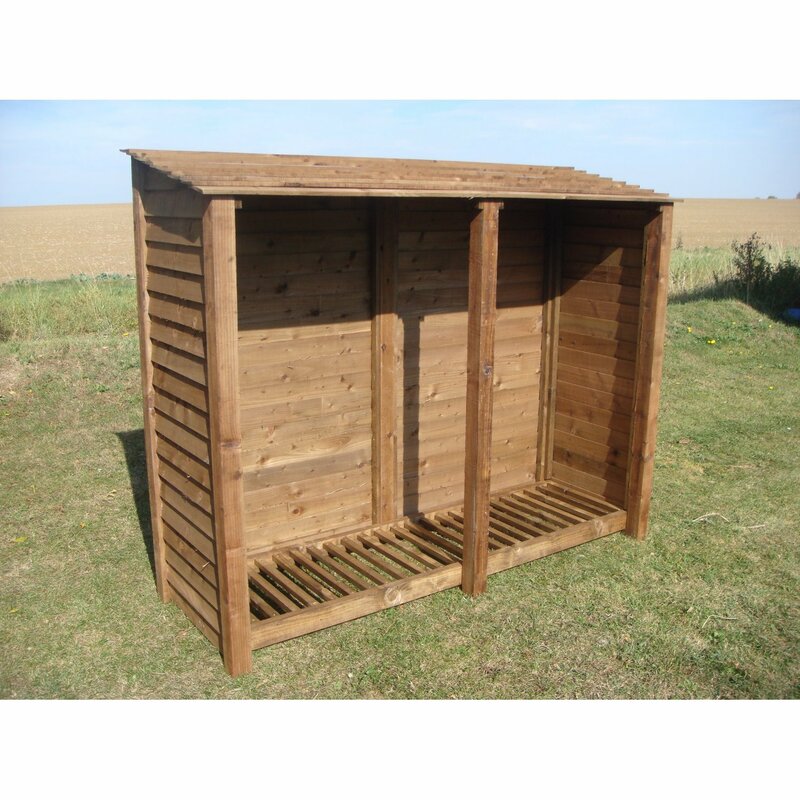 To ensure that your wood is seasoned it must be kept dry. Ventilation is the key. 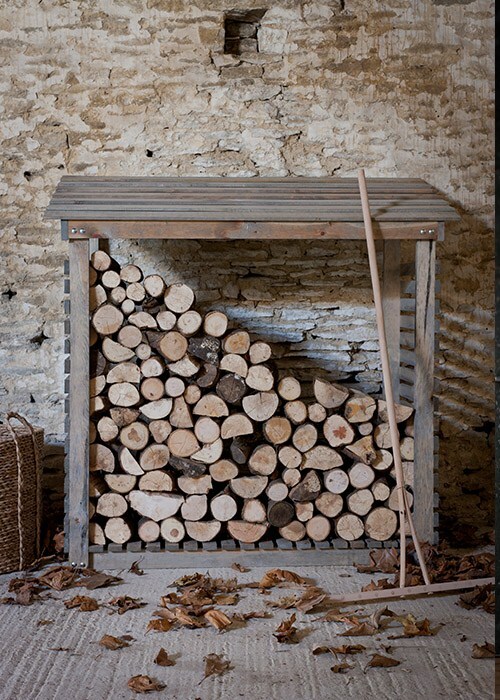 Logs must be kept off the ground, as good air circulation is critical to the seasoning process. 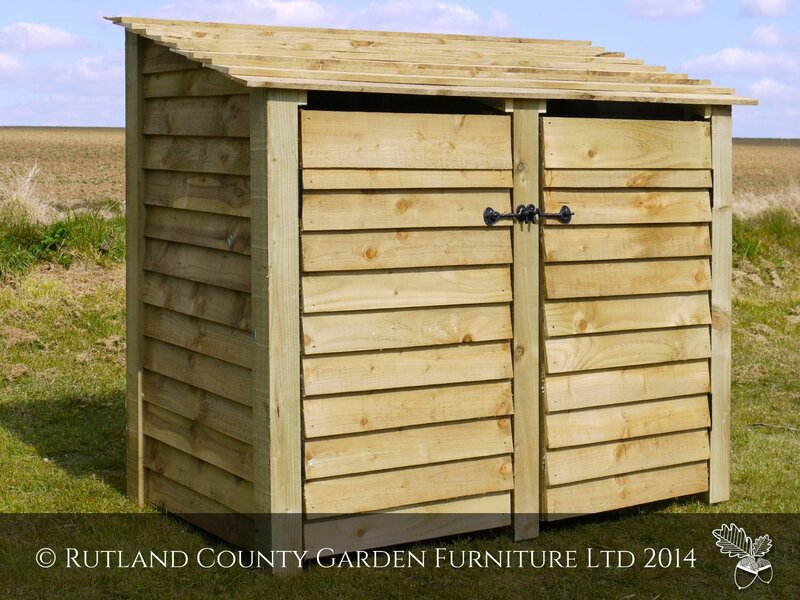 A common mistake householders make, is to pile their wood in their garden covered by a tarpaulin or plastic sheeting. 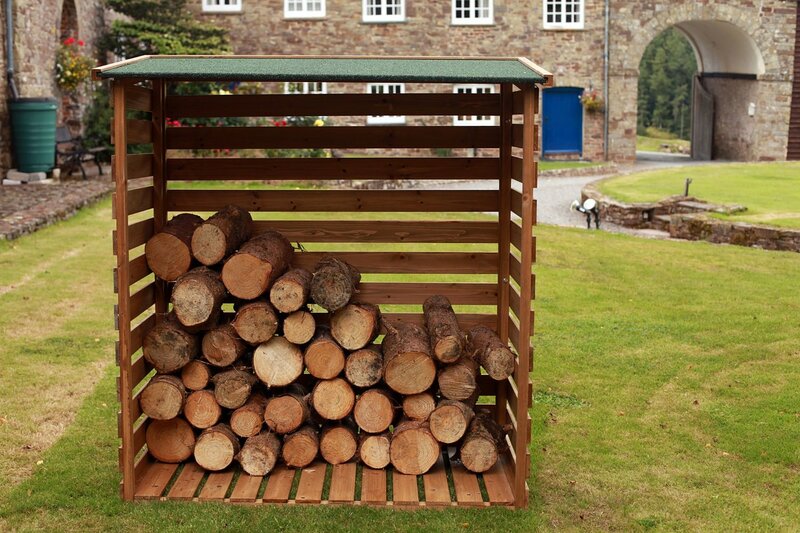 However the cover just seals moisture into the wood, and encourages mould and decay to spread through the logs. 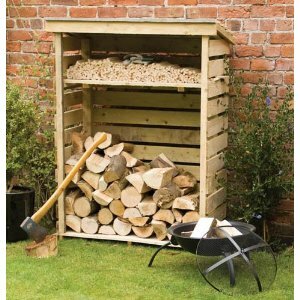 It is much better to select a log storage place which can accommodate the logs, and allow the logs to dry naturally. 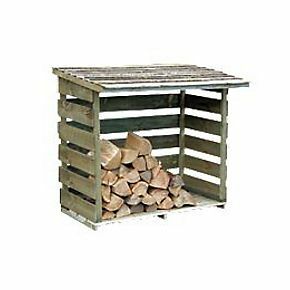 It is possible, to store a full winters worth of logs in a relatively small and inexpensive log store. 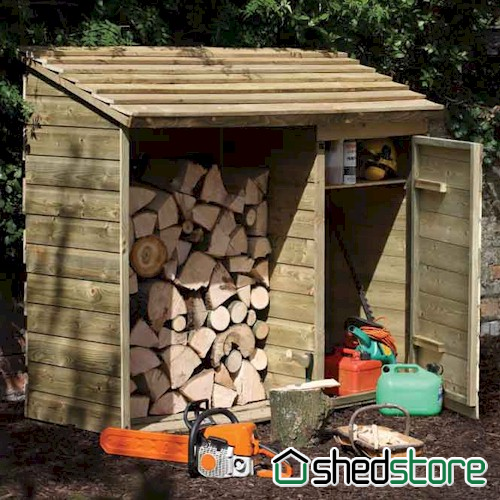 A garden shed is not an ideal place for log storage, because of the importance of good ventilation and air circulation which is critical for the seasoning process. Similarly there may not be sufficient ventilation in a garage. 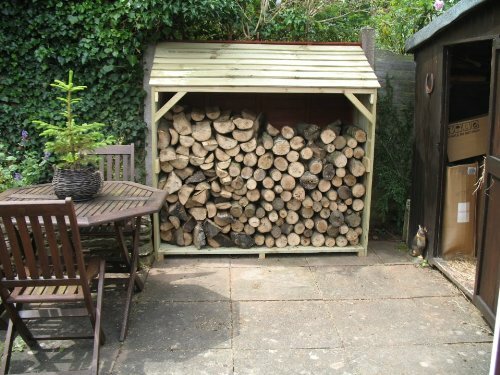 There is also a possibility that the logs could contain wood worm or wood munching beetles that could invade the shed or garage rafters. Logs are best kept outside and brought in to the house when required. 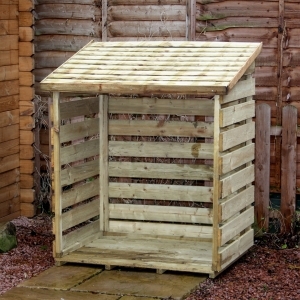 A log store is inexpensive and is designed to keep your logs in prime condition. 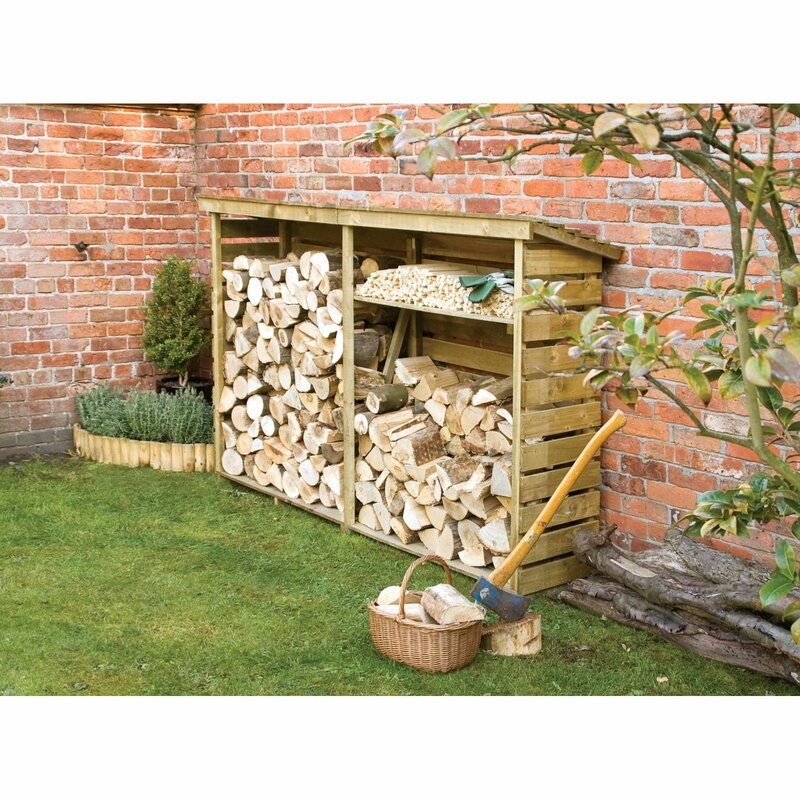 A log store will keep your logs dry and well ventilated which will contribute to how quickly your logs are seasoned. 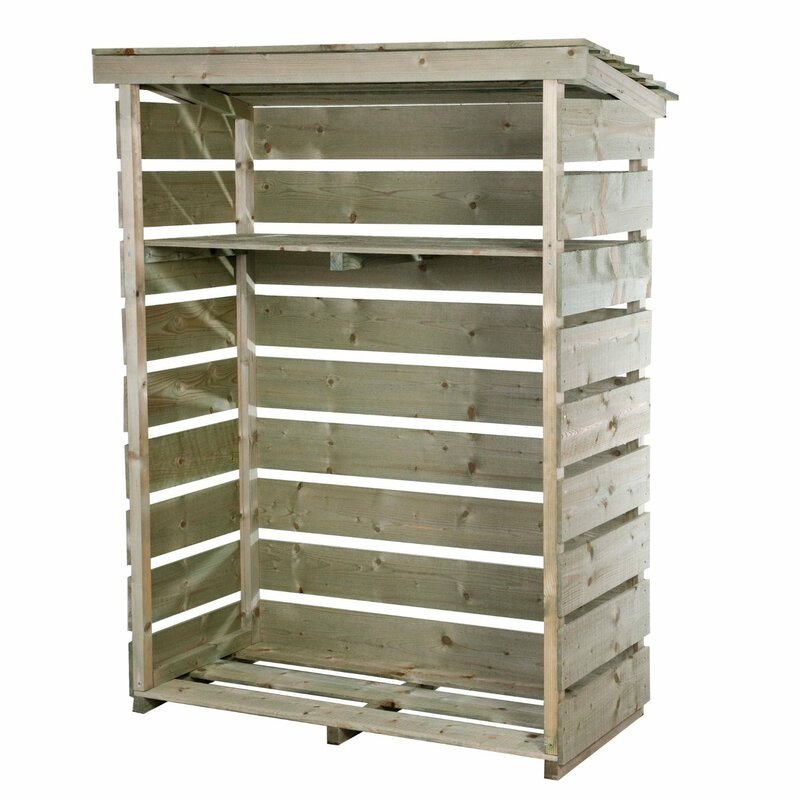 A log store is ideal, because the logs remain dry, but air can flow through the structure. 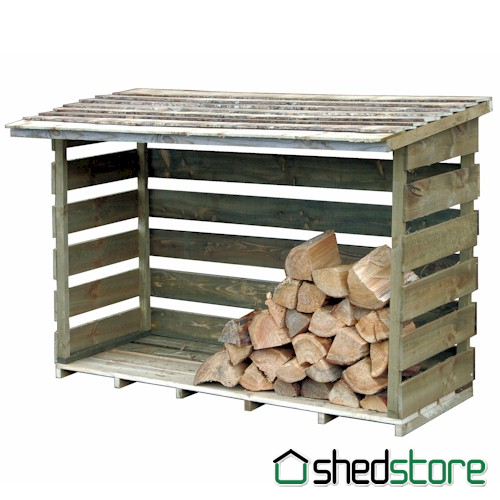 Log stores can be built yourself using some old pallets or whatever comes to hand. 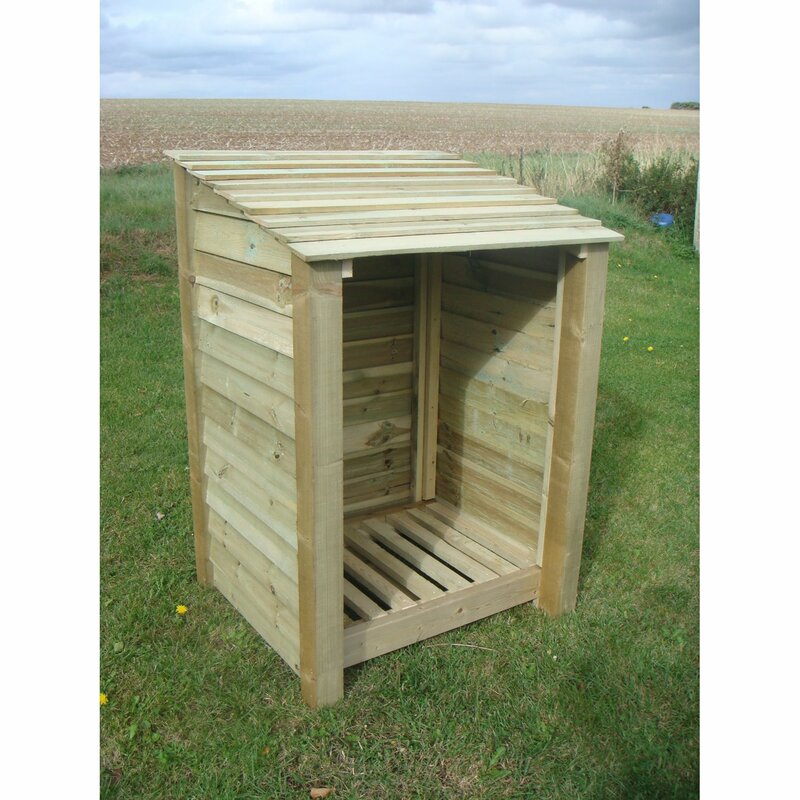 Log stores can be purchased. 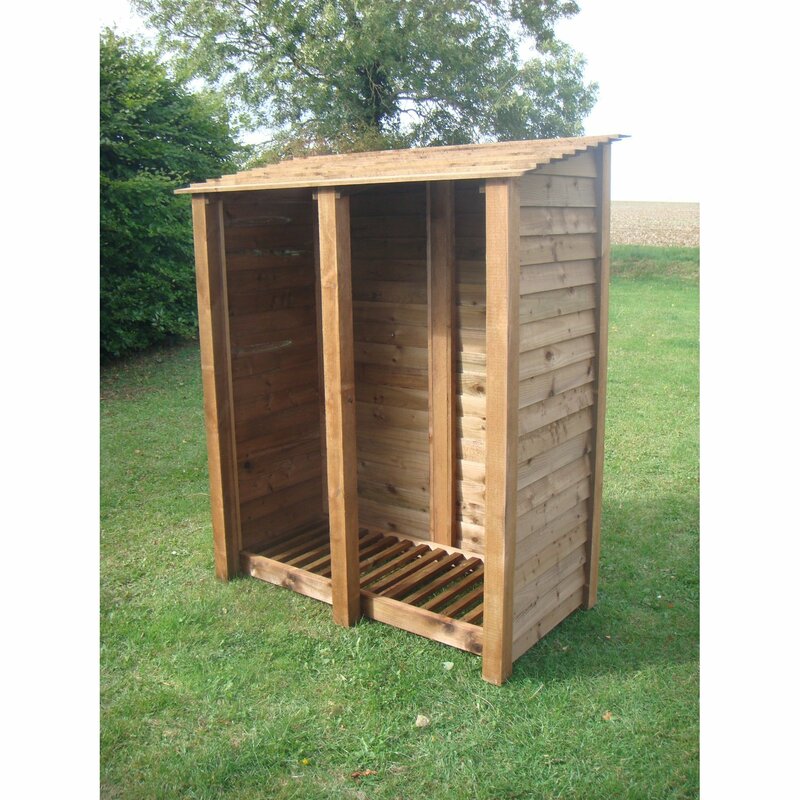 There are a wide range available, but we have reviewed small log stores which hold around a cubic metre of logs, mid size log stores 1 – 1.5 cubic metres, and larger log stores. 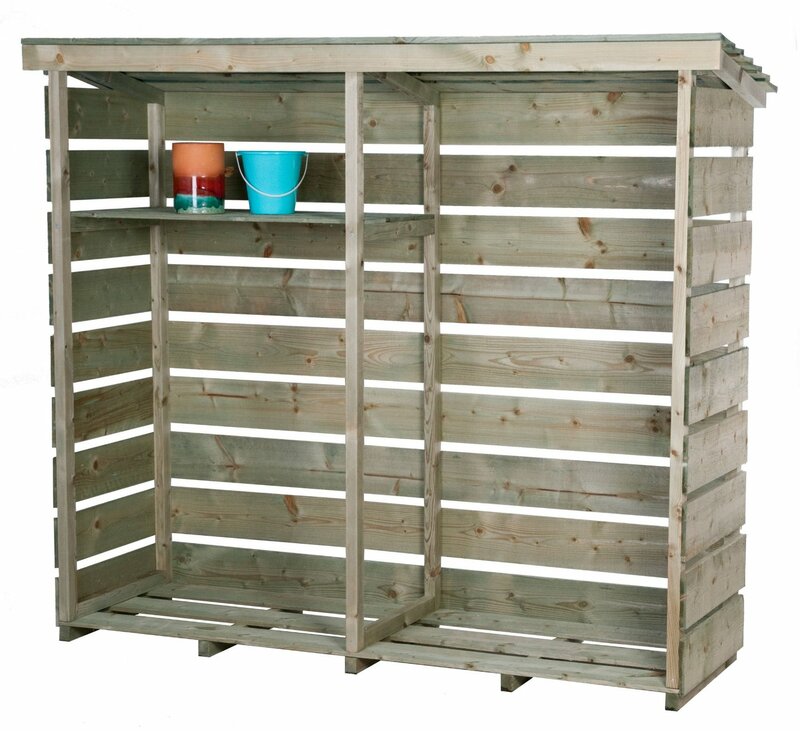 Prices vary but some stores are very smart and make a great addition to your garden.